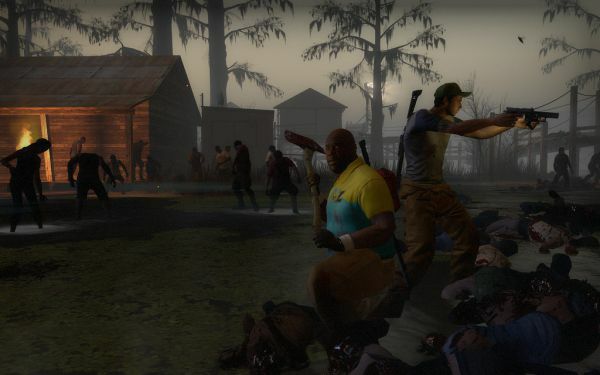 Left 4 Dead 2 has received another update via Steam, making it the 4th patch the game has received since launch on the PC. The update addresses various bug fixes and tweaks, with the biggest change being hit boxes on the special infected being updated. Hit boxes are the areas on enemies that get count as "a hit" when you shoot them. We imagine they've tweaked this to be a little more accurate. As we said, this is the fourth update on the platform, while the Xbox 360 hasn't seen any other than a day one title update. Valve has said that all the patches are going to be rolled into an update that will be released on the 360 later this month.